A handmade gift is a special way to show someone that you’ve thought about them and know them well enough to create something that suits their personality perfectly. 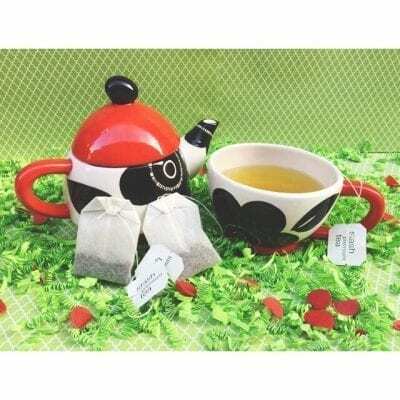 They are unique and one of kind, crafted with lots of love. Today we’re sharing a few ideas to help spark your creativity and inspire you to create one of kind handmade gifts for the ones you love this holiday season! 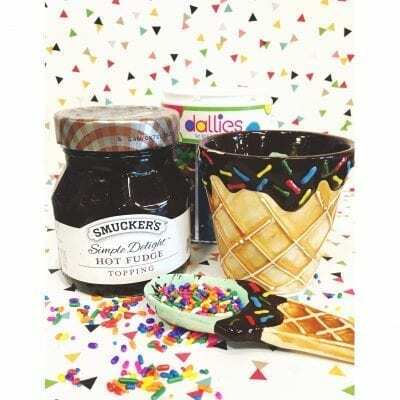 This hand painted ice cream cup is perfectly paired with yummy sundae toppings for the person with a sweet tooth. 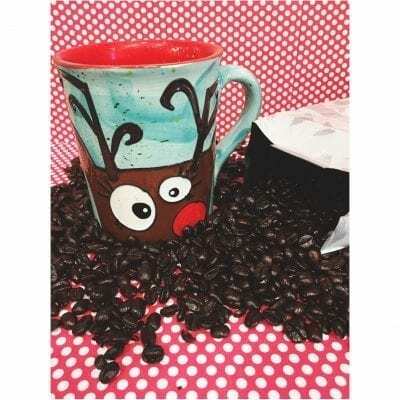 Or create a one of a kind, personalized coffee cup or tea mug and pair it with a pound of their favorite coffee or tea. 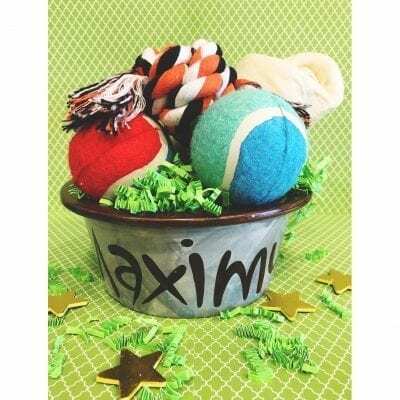 Create a gift for your teacher or even for your pup and fill it with their favorite treats!